Last month in December, I had the privilege of photographing some behind the scenes photos of Chef Jean Georges and his staff in action at his flagship restaurant Jean Georges at the Trump Hotel in Columbus Circle. It was a Monday night and the restaurant was lively and busy during the holiday season despite the snow storms. The open kitchen adds so much life to the restaurant. 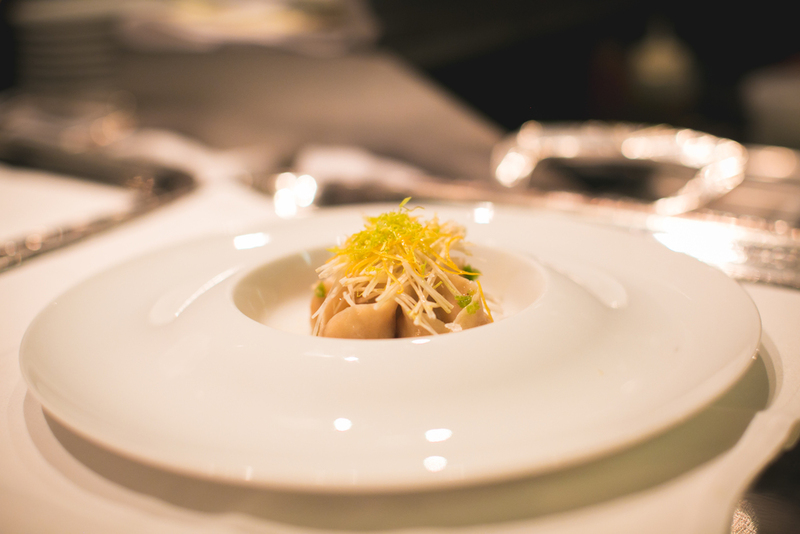 From the amuse bouche to the dessert, every course was created and presented with such perfection. 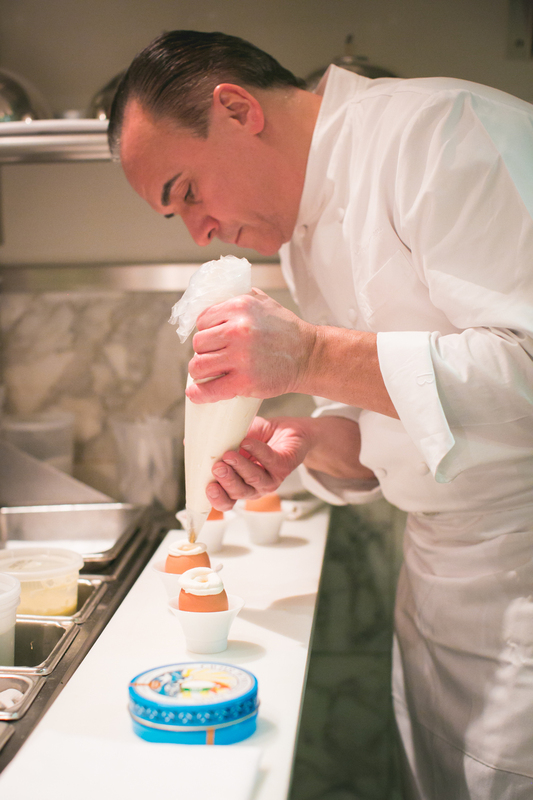 Chef Jean Georges prepares his signature egg caviar dish for the 1st course. It is the best balance of slightly warm whisked egg, placed in an egg shell, topped with chantilly cream and Petrossian caviar. Sea scallops, Caramelized cauliflower, Caper-raisin emulsion Peekytoe Crab Dumplings, Celeriac-Meyer Lemon Tea. Foie Gras Brulé, Dried Sour Cherries, Candied Pistachios and White Port Gelée. The perfect balance of savory and sweet. Such beautiful colors in this dish! Hamachi Sashimi, Avocado, Yuzu and Radish Last but not least, here I am with Chef Jean Georges himself. 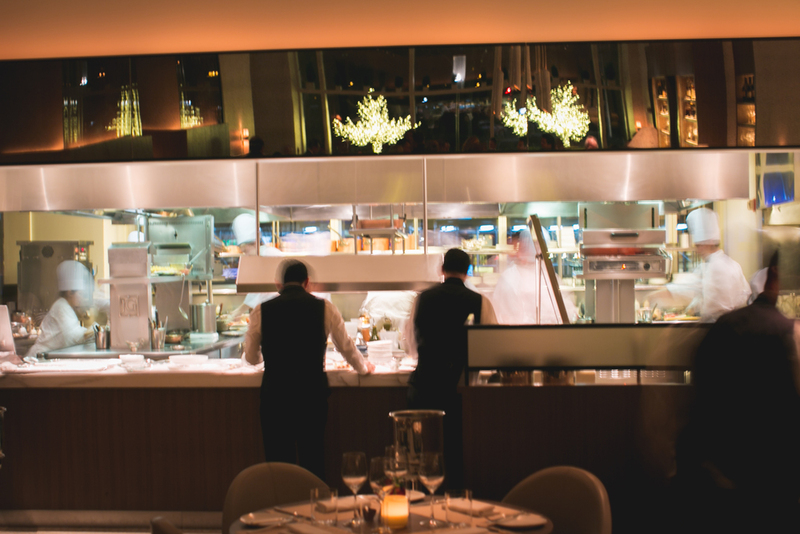 I had such a great experience being inside the kitchen, getting to know the staff and also capturing what goes into creating the fine dining experience at Jean Georges.